The following is a Christmas sermon I preached a couple years ago. I thought it might be worth posting again as Christmas approaches. One of the Christmas traditions in my church growing up was that every year during the Christmas Eve service this one particular gentlemen would sing Sweet Little Jesus Boy. He was the right church member to sing the song. He was an old African American gospel singer, and he could sing it well. And even though it was a different style of music than all the other songs we would sing on Christmas Eve, it became a favorite of our almost entirely white congregation. Sweet little Jesus Boy, they made you be born in a manger. Sweet little Holy Child, didn’t know who You was. Didn’t know you come to save us, Lord; to take our sins away. Our eyes was blind, we couldn’t see, we didn’t know who You was. The connection between our sufferings and Christ’s sufferings is powerful. The world treat You mean, Lord; treat me mean, too. But that’s how things is down here, we didn’t know t’was You. Just seem like we can’t do right, look how we treated You. But please, sir, forgive us Lord, we didn’t know ’twas You. Sweet little Jesus Boy, born long time ago. Sweet little Holy Child, and we didn’t know who You was. Do you know who Jesus was? Isaiah 9 hails the Messiah as the light of the world in a land of deep darkness. He is the child born under the oppression and eventual execution of the Roman government. He is our Wonderful Counselor and the Mighty God. He reveals to us the Everlasting Father. He is the Prince of Peace. Of the increase of his kingdom and peace there will be no end. He will rule with justice and righteousness from this time forth and forevermore. So who was this child born of Mary? A good teacher perhaps? That’s a popular answer: Jesus was really a humble prophet, a teacher of peace and justice. But some of his followers made up all these things about him–they invented the miracles and the exalted language about himself and the resurrection. Maybe the Christ of faith is completely different from the Jesus of history. Perhaps, but consider two major problems with this theory. First, the only Jesus we have is the Jesus of faith. Virtually everything we know about Jesus is given to us through the eyes and pens of those who believed in him. So any attempt to find the historical Jesus behind the Jesus of faith is an attempt to find what we would like Jesus to be and not an attempt based on history. The only history we have about him comes from those who were changed by him. So either we are going to have to accept what Jesus’ followers said about him or admit that we can’t really know anything about this man. The second problem with taking Jesus as simply a good moral teacher is that the people who argue for this approach almost never take into account all of Jesus’ teachings. What they mean is not so much that they respect Jesus as a teacher, but that Jesus was smart enough to say some of the same things they would say. So people appreciate Jesus the good teacher when he talks about turning the other cheek or walking the extra mile or giving to the needy. But they ignore all the parables Jesus told about weeping and gnashing of teeth and being cast into outer darkness. They love the Jesus of the Sermon on the Mount, except they breeze past the places where Jesus says those who refuse to forgive will be punished, and those controlled by lust will be thrown into hell, and divorce except on the grounds of sexual immorality is wrong, and everyone who doesn’t build his house on Jesus is a fool. We gravitate to the peace on earth, good will toward men, and overlook the times when Jesus says his coming would bring division on the earth and turn mother against daughter, brother against brother, and father against son. No one should hail Jesus as a great moral teacher until he reads through all that Jesus taught. Then you can decide if still think he was a good teacher. 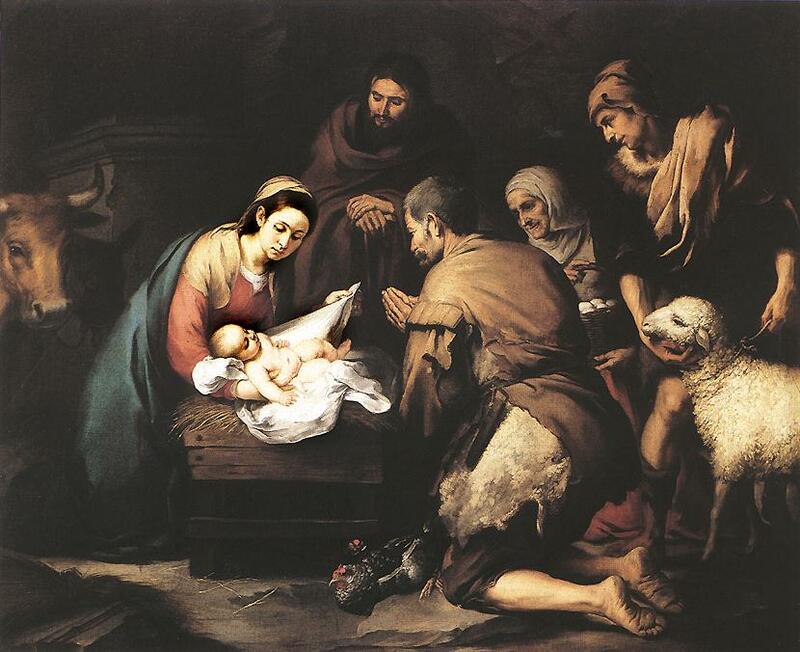 So who was the baby the Magi came to worship? How would you answer that question? As I see it, there are two consistent answers and two inconsistent answers. The first inconsistent response is to take part of Jesus: “I’ll take the teachings I like and ditch the rest. I’ll take his good deeds but not his hard words. I’ll take his love for humanity and not his desire to glorify himself.” Now, don’t get me wrong, you can pick and choose what you like about Jesus. People do it all the time, but it’s inconsistent. Don’t say you follow Jesus or even that you think he’s a great teacher. Be honest enough to say “I like the ‘judge not’ line, the love your enemies bit, and the cup of cold water thing, and that’s about it. Other than that, Jesus was a quack and not really very nice.” To say anything else is inconsistent. The second inconsistent response is to accept that Jesus is the Wonderful Counselor, Mighty God, Everlasting Father, Prince of Peace, and accept that he is the perfect Son of God, the King of the nations, the Righteous Judge, and the hope of the world, and then live like it doesn’t matter. If you thought I was God–and I don’t think I need to assure you I’m not–you would be very interested in what I thought, and how I wanted you to live, and what I was like. You would talk to me and worship me and tell others about my true identity. And if you did none of those things, it would be right to question whether you really thought I was God. Faith is more than intellectual assent to certain doctrines, it is an entire life based on the conviction that these doctrines are true. So who is the babe in the straw? The first consistent response is to say, “He’s a nobody. He didn’t even exist. Or if he did exist, we can’t know anything about him. The gospels are myths and legends with no grounding in history. I may like the victory from defeat theme in the gospels, but I don’t need Jesus for that. I don’t really care who this Jesus is and neither should you. The billions of Christians singing to Jesus this week are worshiping a figment of their imagination.” That would be consistent.